Kundalini gurus love to point out that they speak and act in a non-pretentious everyday voice. I read an interview with a Kundalini guru in which she made fun of people who speak in a “spiritual” or “preacher” voice. It was a written interview and so I couldn’t hear hear specific vocal inflections. Kundalini gurus pride themselves on speaking in a casual manner. I suits the casual “performance” style of kundalini yoga classes. There is no pretentiousness in the vocal inflections of kundalini teachers but they make up for it in other arenas. The pretentiousness of Kundalini yoga is in the constructing of the visual image. The kundalini guru should feel as embarrassed by her fake white kundalini costume as she is by “preacher voice”. Kundalini yoga gurus have a very pretentious visual style to their performance art. Kundalini teachers don’t come down off of the platform to “teach”. They only sit up on the dais and give a teaching “performance” draped in their flowing, gauzy, white religious garments. As a turban wearing Sikh, Yogi Bhajan already had the visual angle down pat. Image is everything. 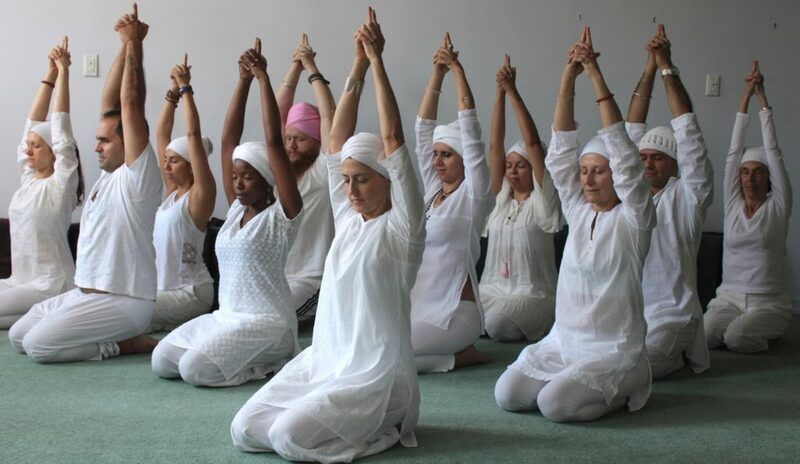 Without the turban, kundalini’s are like a biker gang without their trademark logo. Yogi Bhajan had to be good at constructing a striking spiritual image because the quality of his content was not as good. 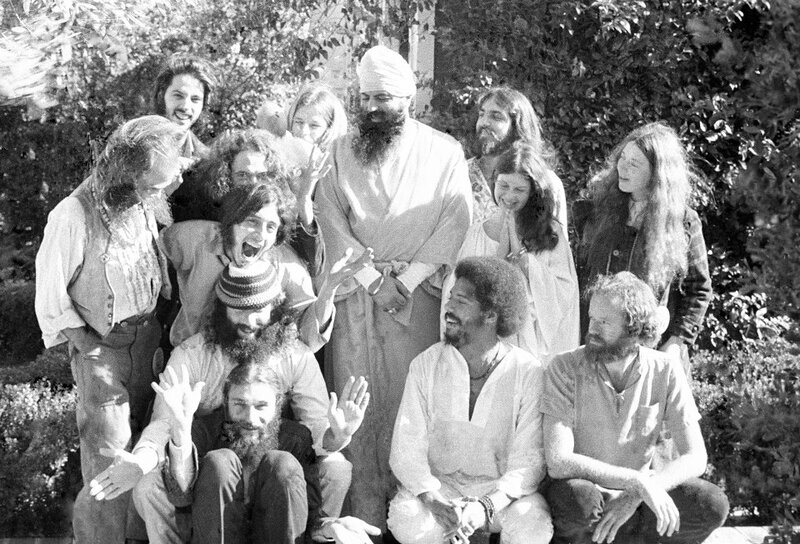 Yogi Bhajan didn’t need to have good content to crash the hippie drug party. This post was written in the middle of updating my website. Who will I write about with such fervor after I exhaust the Bhajanists as a blog topic? All I wanted to do was learn about kundalini yoga and I ended up learning about the Dalit matrix and the Sikh religion. If people want to study religion that is fine but don’t advertise Dalit Sikhism as Hindu Vedic yoga.